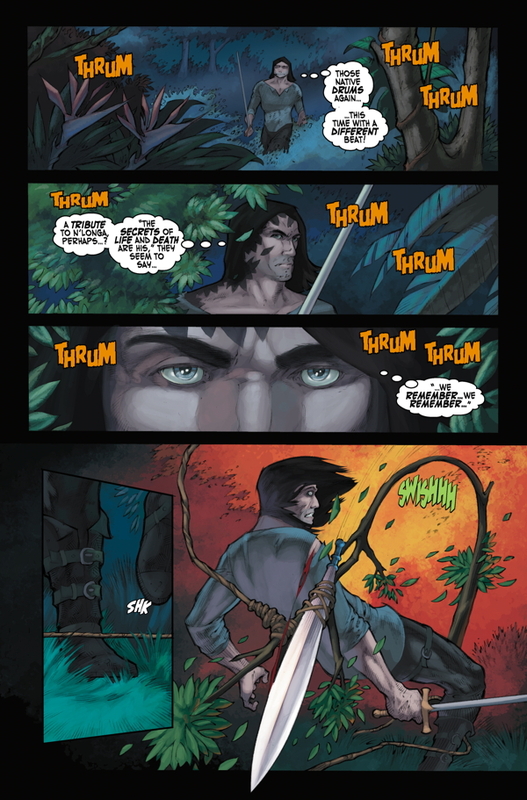 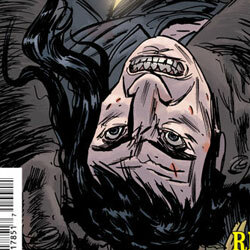 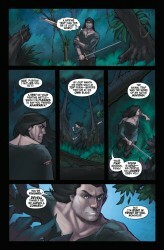 Dark Horse Comics sent Major Spoilers a sneak peek of Solomon Kane: Red Shadows #4 that you can check out, after the jump. 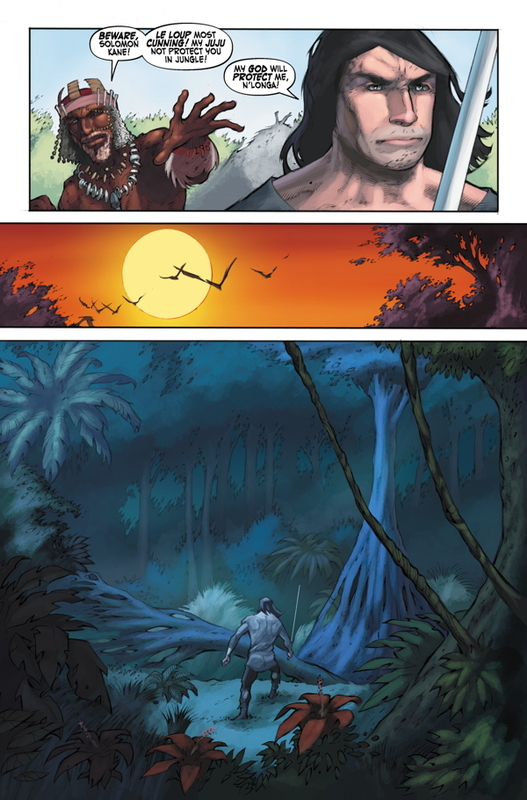 Solomon Kane faces two of his greatest foes in Africa, as Bruce Jones (Conan, The Incredible Hulk) brings his thrilling “Red Shadows” adaptation to a close! 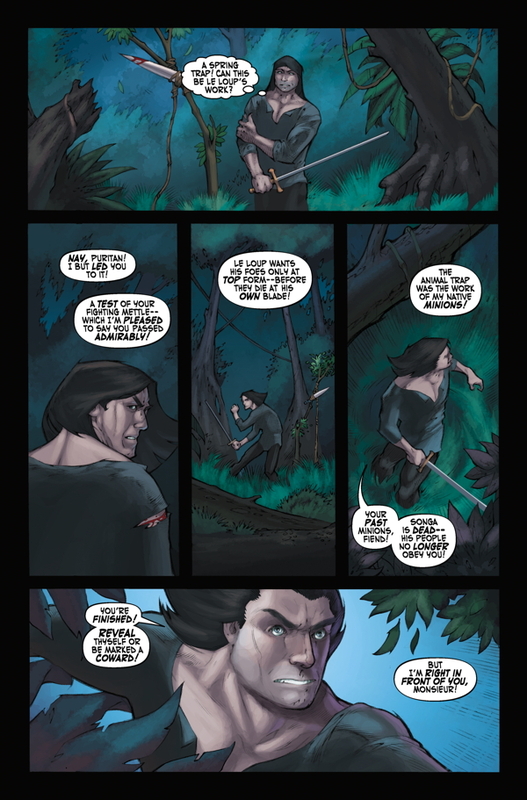 Seeking to avenge the horrible murder of a young girl, Solomon Kane chases the feared swordsman Le Loup across the globe, where he finds the villain in league with Songa, the powerful leader of a deceived jungle tribe. 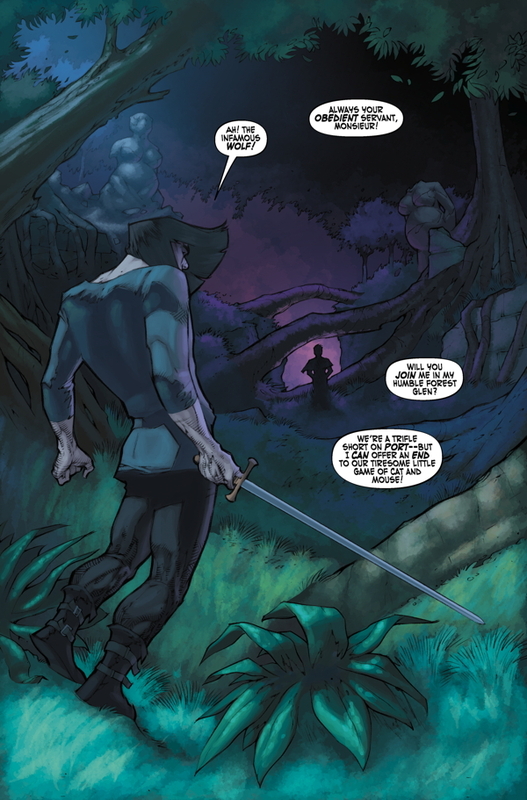 Kane finds an ally in the frail, ancient form of magic man N’Longa–but will the old, deposed witch doctor really be able to challenge Songa and save Solomon’s life? 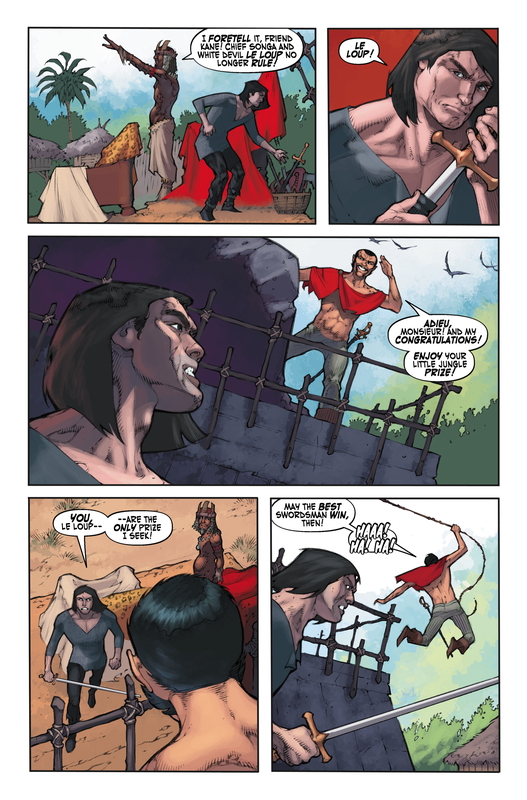 Rising stars Rahsan Ekedal (Creepy, The Cleaners) and Dan Jackson (Kull, Star Wars) illustrate this thrilling adaptation of Robert E. Howard’s classic tale! 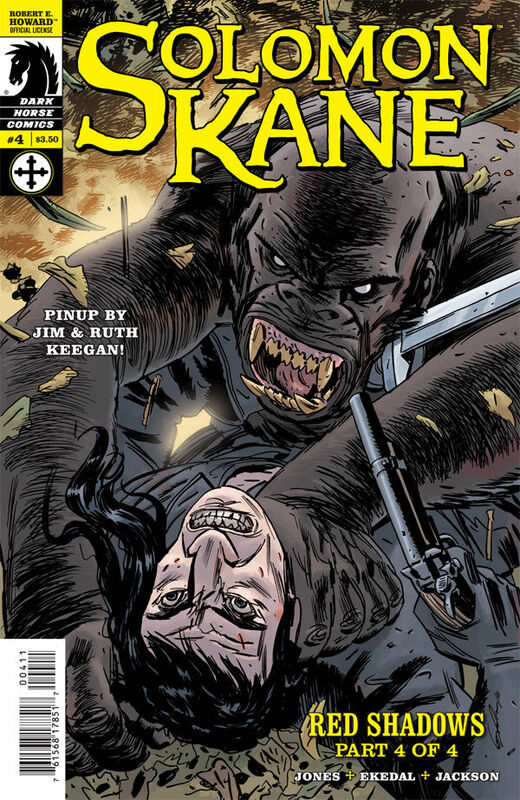 Comics legend Bruce Jones reenergizes Solomon Kane! 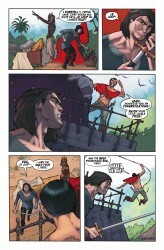 * Kane faces his greatest nemesis in a battle to the death!